ABS-CBN is still the network of choice for most Filipinos in 2018 as they tuned in to its values-laden shows and newscasts, as it recorded an average audience share of 45 percent, or 13 points higher than GMA’s 32 percent, according to data from Kantar Media. 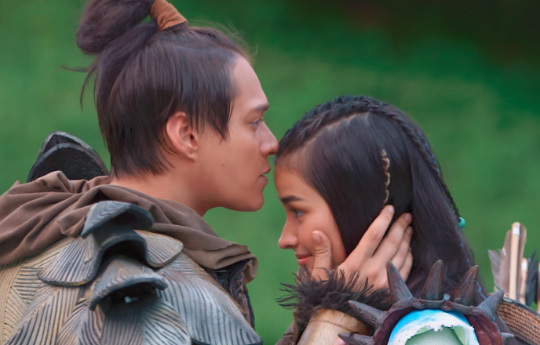 Enrique Gil and Liza Soberano of "Bagani"
The Kapamilya network won across all territories all year round, particularly in Mega Manila where it scored an average audience share of 36 percent, versus GMA’s 34 percent, and in Metro Manila where it garnered 42 percent, beating GMA’s 26 percent. ABS-CBN also won in Total Luzon with 40 percent, compared to GMA’s 35 percent; in Total Visayas with 53 percent, versus GMA’s 26 percent, and in Total Mindanao with 52 percent, while GMA only got 28 percent. ABS-CBN secured 16 slots in the top 20 list of most watched programs in 2018, which was led by the highest-rating program FPJ’s Ang Probinsyano (41.2 percent). Also part of the list are Pilipinas Got Talent (38.1 percent), Your Face Sounds Familiar Kids (33.3 percent), Bagani (31.8 percent), La Luna Sangre (31.4 percent), TV Patrol (30.5 percent), Ngayon at Kailanman (28.8 percent), MMK 25 (27.2 percent), and The Kids’ Choice (26.2 percent). Other top-rating shows include Wansapanataym (25.7 percent), Home Sweetie Home Walang Kapares (23.4 percent), Wildflower (23.3 percent), Home Sweetie Home (23.2 percent), Halik (22 percent), Meteor Garden (21.6 percent), and Rated K (19.8 percent). Meanwhile, ABS-CBN also won across all time blocks, particularly in primetime where it recorded an average audience share of 49 percent, or 17 points higher than GMA’s 32 percent. The primetime block is the most important time of the day when most Filipinos watch TV and advertisers put a larger chunk of their investments in to reach more consumers effectively. 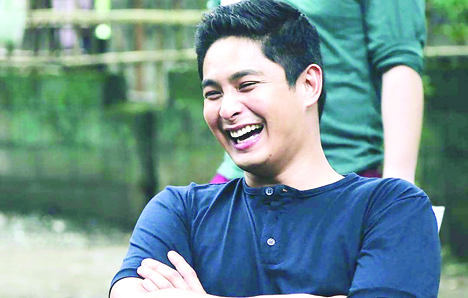 Coco Martin as Cardo Dalisay of "FPJ's Ang Probinsyano"
The Kapamilya network was also triumphant in the morning block (6:00 a.m. to 12 nn) with an average audience share of 38 percent, compared to GMA’s 30 percent; in the noontime block ( 12:00 nn to 3:00 p.m.) with 44 percent, beating GMA’s 33 percent, and in the afternoon block (3:00 p.m. to 6:00 p.m.) with 43 percent, versus GMA’s 35 percent.